With details concerning major attractions, off-the-beaten-track spots, drinking and nightlife venues, and restaurants and hotels/hostels from all over the city, Panda Guides Beijing is the most complete guide of its kind. 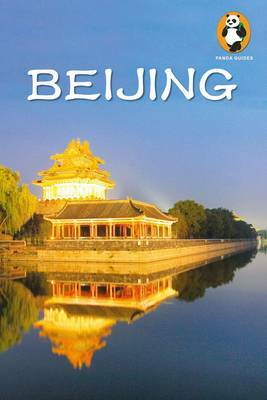 Written by a team of expats who live in and know China's roaring capital, our Beijing title is the first guidebook to offer local discounts to readers, as well as an opportunity to win a free trip through China by purchasing the book. Apart from all the money readers can save by following the Panda, this edition of Beijing also comes with a pullout map of the city, while individual maps can be found inside for key tourist attractions, and mini-maps are provided for every local business (hotels, hostels, bars, and restaurants) that show all major cross streets and the nearest subway station(s). What's more, we've made the travel experience even easier by placing each attraction's vital info (i.e. transportation details, opening hours, admission, phone number, website, etc.) in clearly marked orange boxes at the beginning of every listing.This volume is also packed with sample itineraries, a Mandarin phrasebook, a user-friendly index, sections on culture, history, art, music, and movies, full-color pictures (to give you an engrossing feel of a destination before the reader even goes) and much more! Plus, the Hot Topics section will reveal what life on the ground is like with coverage of fascinating themes such as Air Pollution, Food & Water Safety, Traveling with Kids, Scams, Travel, Culture Shock, Taboo & Etiquette and others. For all this and more, Panda Guides China isn't just a guide, it's an experience. For more on our books and maps, and to get updated information concerning travel news and special events throughout China, check out www.PandaGuides.com.